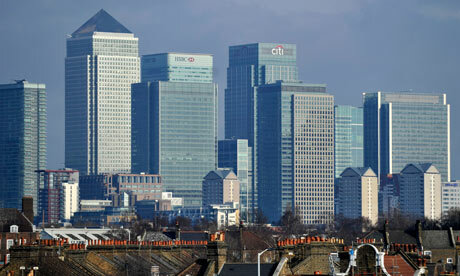 Like millions of others I am outraged by the Libor scandal, by the wrongdoings of the “submitters” and other traders at Barclays Bank under Bob Diamond, and their fellow travellers at the British Bankers’ Association. That is why I and my colleagues at Prime have launched a government e-petition calling for a judicial public inquiry into the wrongdoings of banks, and for the inquiry to have powers to summon witnesses and question them under oath. So, while I do of course regard the speculative and often fraudulent activities of our bankers with disdain, I reserve my real anger for the economics profession, both professional and academic. For it is mainstream, orthodox economics that has effectively given private bankers the cover they need to engage in reckless, greedy, fraudulent and immensely enriching activity. It is orthodox economists who have built the platform on which today stand the young traders at 16 banks involved in the Libor scandal. Above all, it is mainstream economists who are directly responsible for the financial crisis and who have brought our global financial system to this pass. Yet economists (with some notable exceptions) stand aloof from a crisis of their own making. And when they do deign to engage with it, it is to adopt an attitude of defeatism. We are constantly enjoined to simply accept the destructive fate of austerity, financial failure, bankruptcy and unemployment, for, they argue: “There is nothing to be done.” Only “creative destruction” will do the trick. But that is a lie. There is much that can be done to alleviate the suffering and destruction of value that we witness daily. All it requires is to remove orthodox economic blinkers. Furthermore, we have the precedent of the 1930s, when Keynes and Roosevelt took on the bankers, began to resolve the crisis, and built sustained recovery in the US. To understand the root of the Barclays scandal, and what must be done now, we – and, most emphatically, orthodox economists – must first understand a foundational element of the economy: money. As Geoffrey Ingham has argued in The Nature of Money, orthodox economists believe in the “commodity theory of money”. While they no longer maintain that money consists of a material with an intrinsic exchange value, they argue that it is a commodity in the sense that it can be understood like any other commodity – hence the belief that money is subject to the forces of supply and demand, marginal utility and so on. On this stands the belief that the “price” of money – the rate of interest – is not constructed socially, but is a result of market forces. Most economists still hold to the naive belief that money equals deposits and savings. They take this further. They believe firmly that, in order to lend, banks must have a stash of savings in the vault. They do not understand that bankers can create credit by entering numbers into a computer. No, they believe that banks simply act as intermediaries and can be relied up on, for example, to come between Mrs Jones and her carefully accumulated savings and Mr Smith’s demand for a loan. But John Maynard Keynes (as well as Adam Smith, Schumpeter, Galbraith and others) knew otherwise. And Keynes explained money and how it works most clearly: in brief, money, in all instances, starts life as credit. It is created in the first instance by central banks – which, with the stroke of a computer keyboard, can deposit billions of pounds into the bank accounts of commercial banks – think of quantitative easing. In return, the central bank demands collateral. Private commercial banks are then licensed to do the same. So private bankers create credit out of thin air – by entering numbers into a computer and then requiring, first, collateral and, second, repayment. This credit then enters bank accounts as deposits. We invest or spend this money, and that generates income – wages, salaries, profits and taxes. Income is then used to repay the credit or debt. In other words, we as a society bestow great power on central and commercial bankers, which is why economic prosperity has depended on the public accountability, regulation and management of finance. Orthodox economists do not understand money as credit. They see it as subject to the forces of supply and demand and regard these forces as a good thing – for they can determine the “price” of money, ie, the rate of interest. But money is not like oil or diamonds. It can be created out of thin air. It is a public good, like clean air or water. But, unlike clean water, there is no limit to its creation. That’s why it must be regulated and managed, not left to the invisible hand of market forces. Barclays’ bankers were granted huge powers. Let us not be surprised that they abused those powers. While, of course, they must be punished, it is time to interrogate those who gave away this great public good, this great power to create and price credit. Let us begin with the profession of economists. Are Reparations Due to African-Americans?